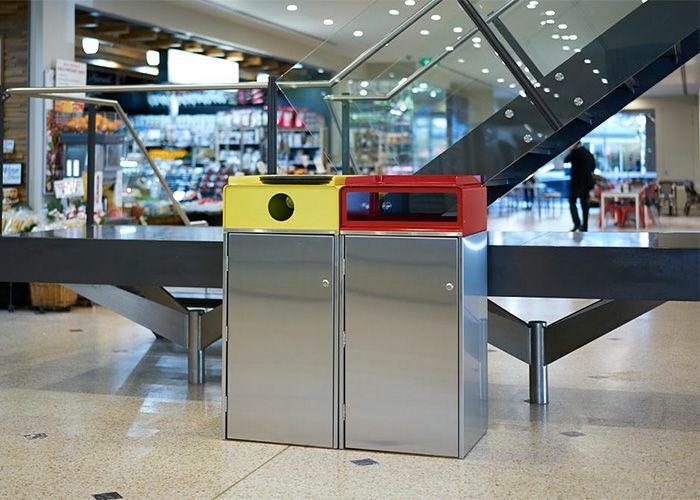 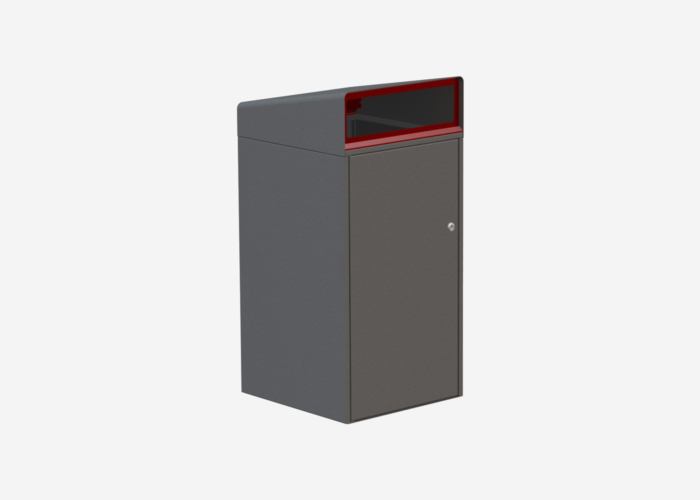 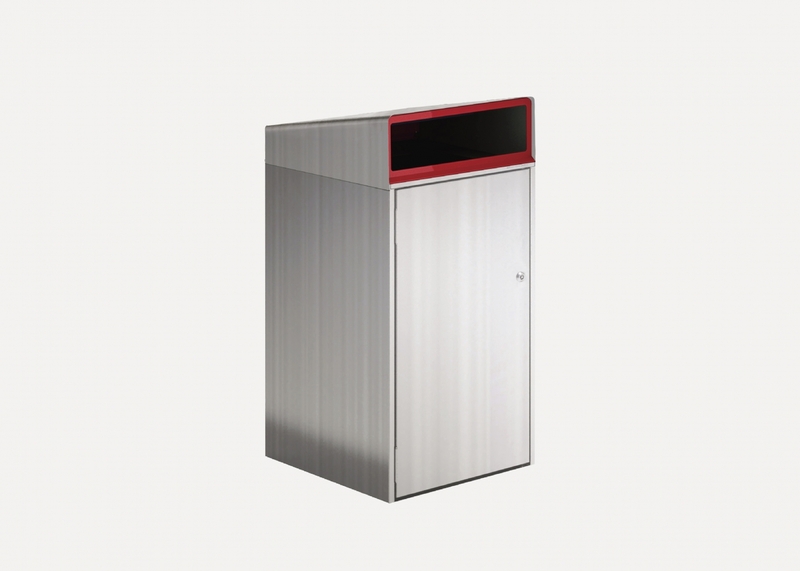 Escola Bin Enclosure with tray return, WBE-E240, Flat roofs with tray returns in Brilliant Yellow and Lobster Red. 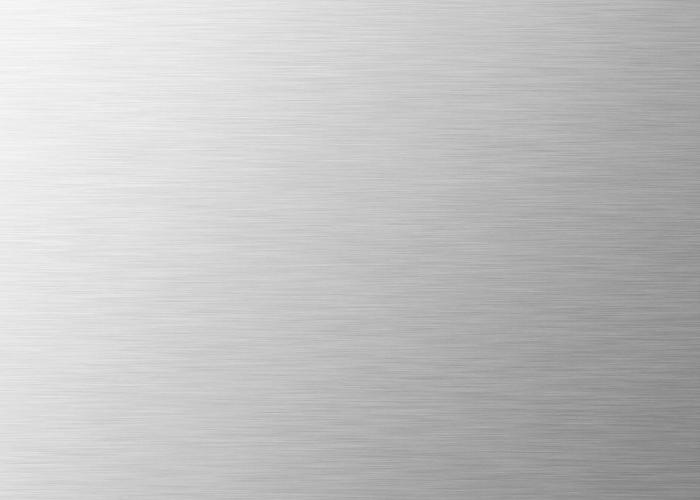 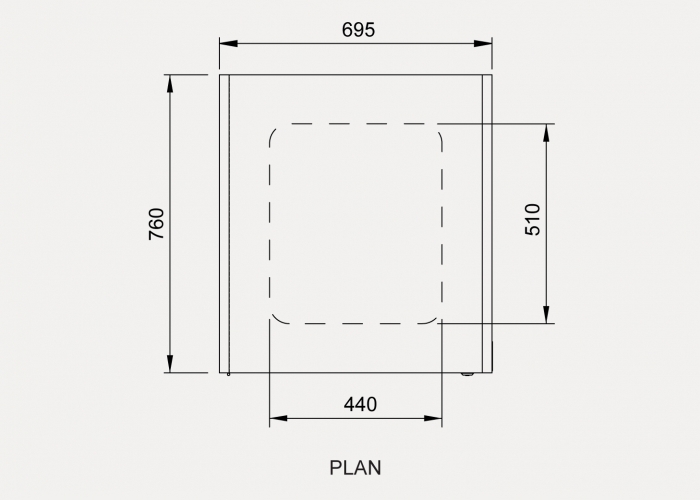 Circle and Rectangle opening inserts. 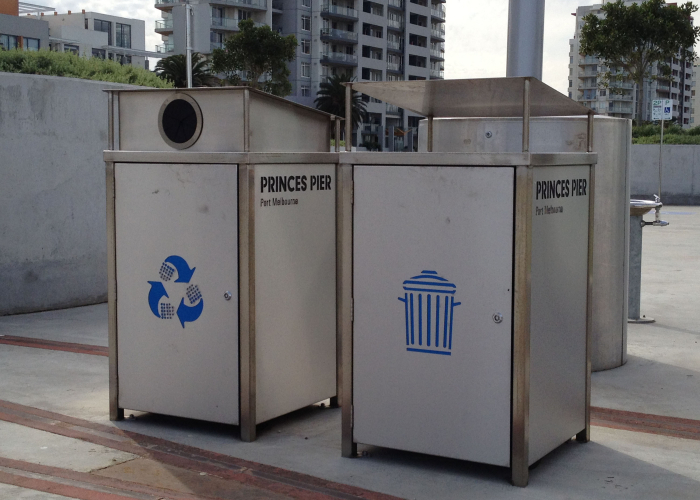 Recycling and Garbage signage. 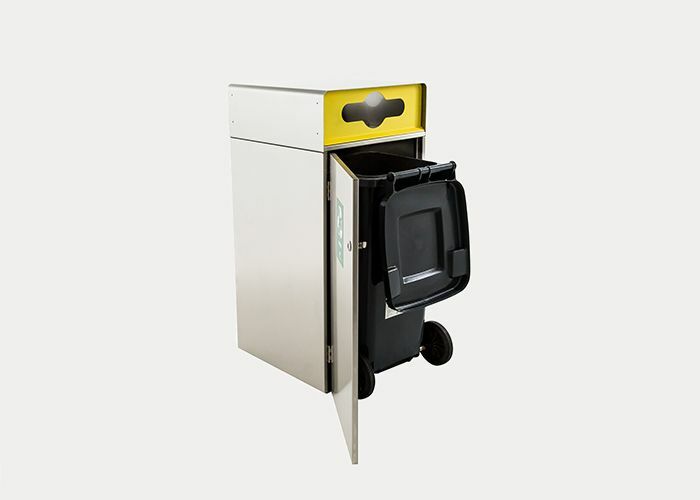 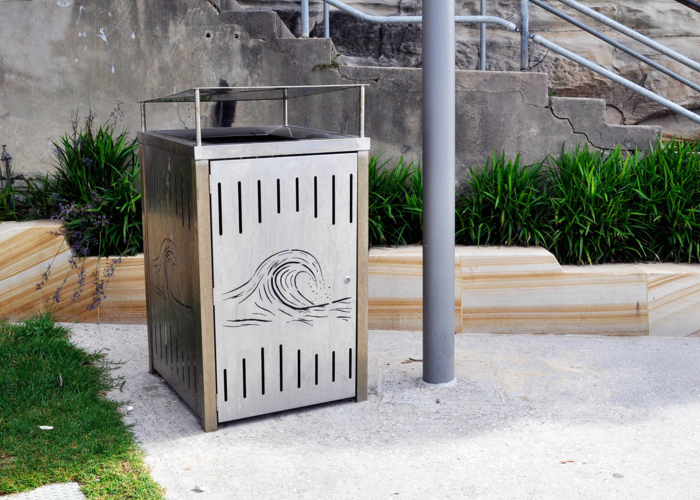 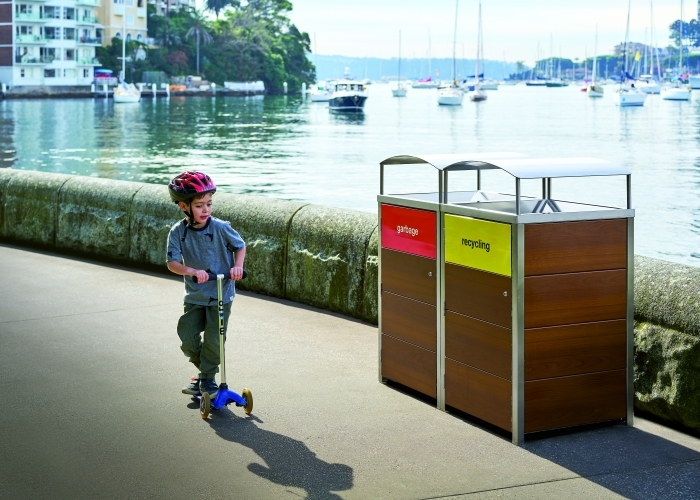 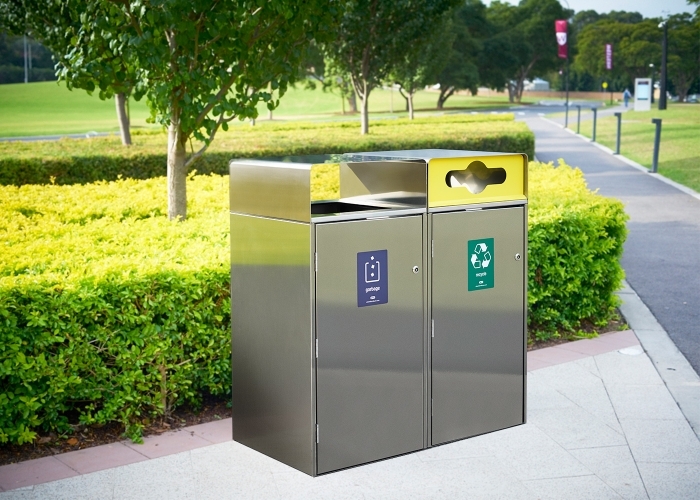 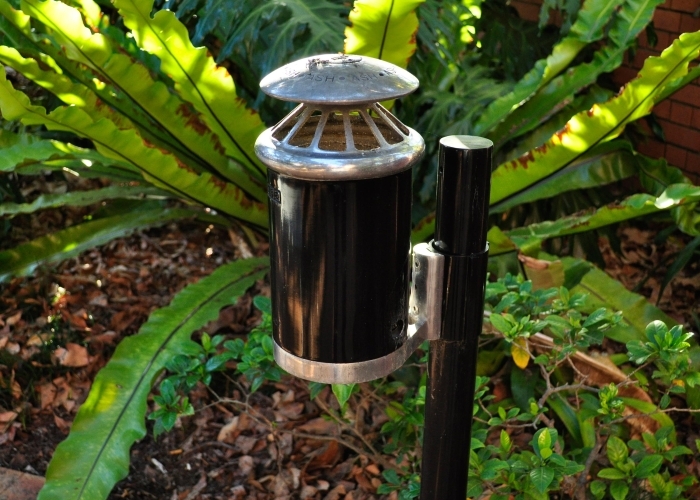 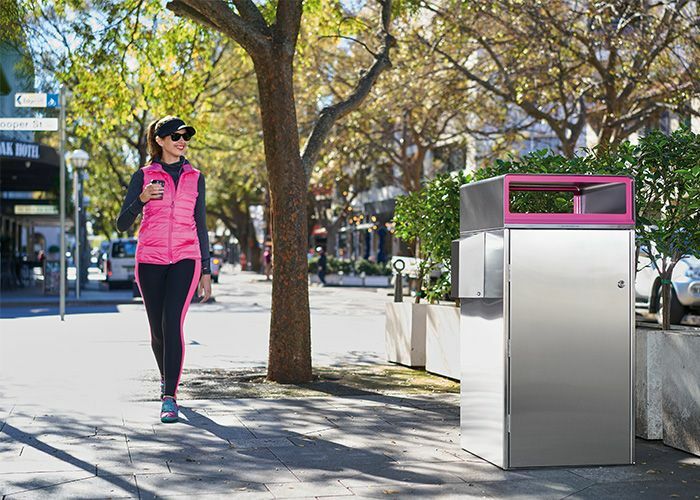 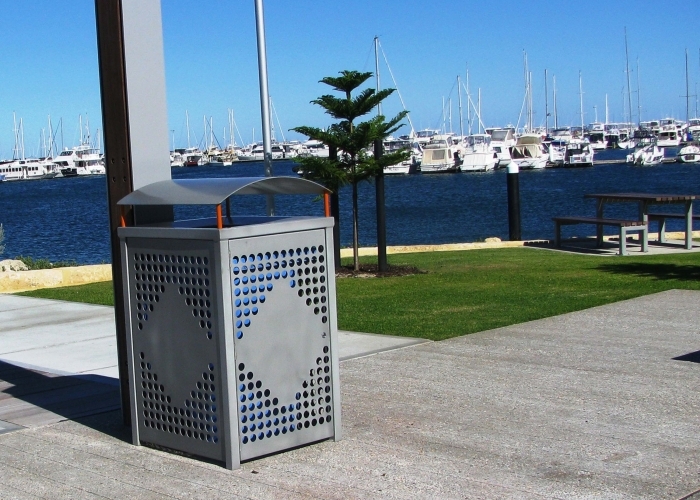 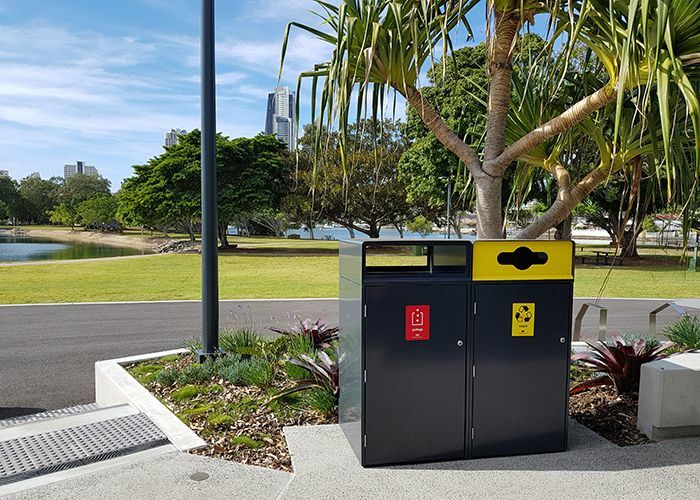 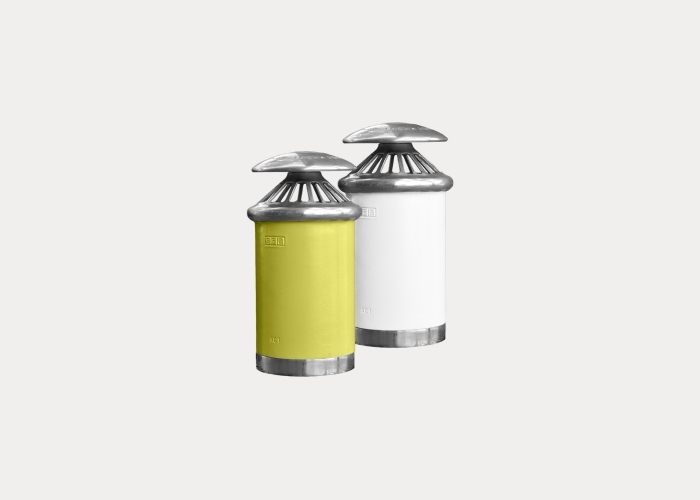 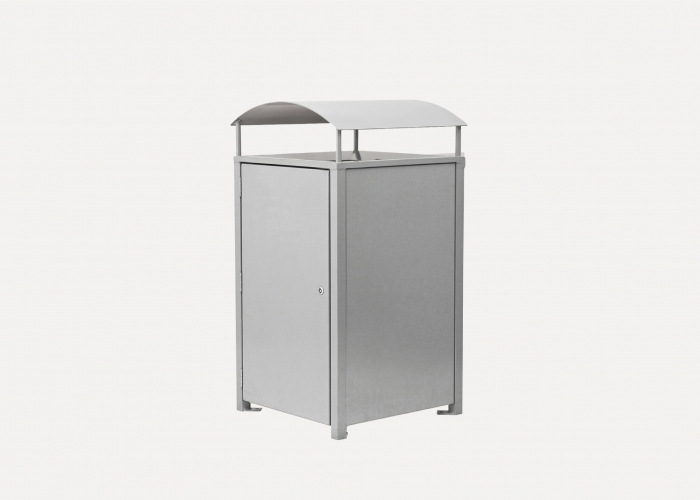 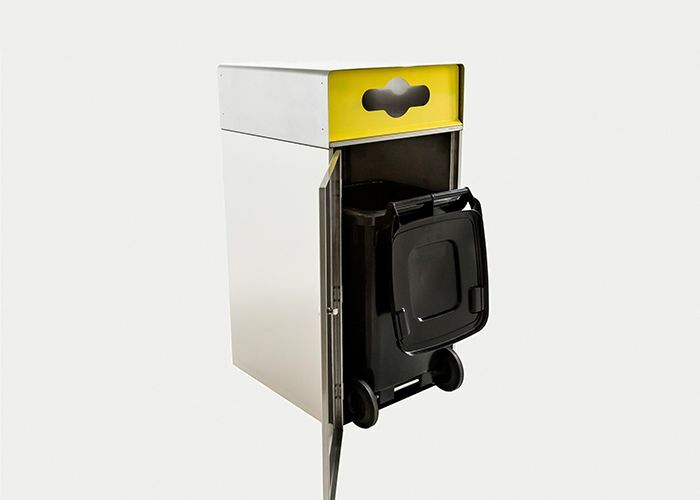 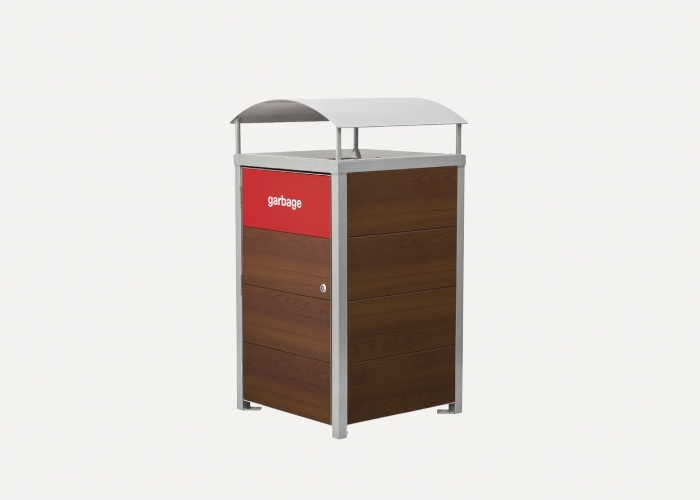 Escola Bin Enclosure houses the common 240L wheelie bin for both litter and recycling purposes. 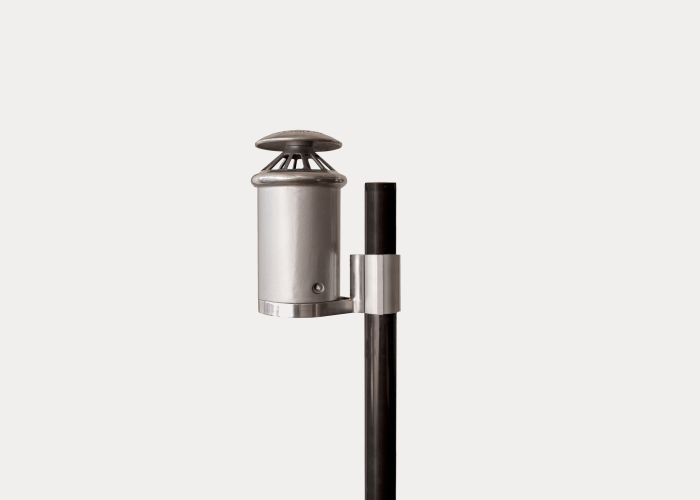 Minimum footprint and visual clutter.